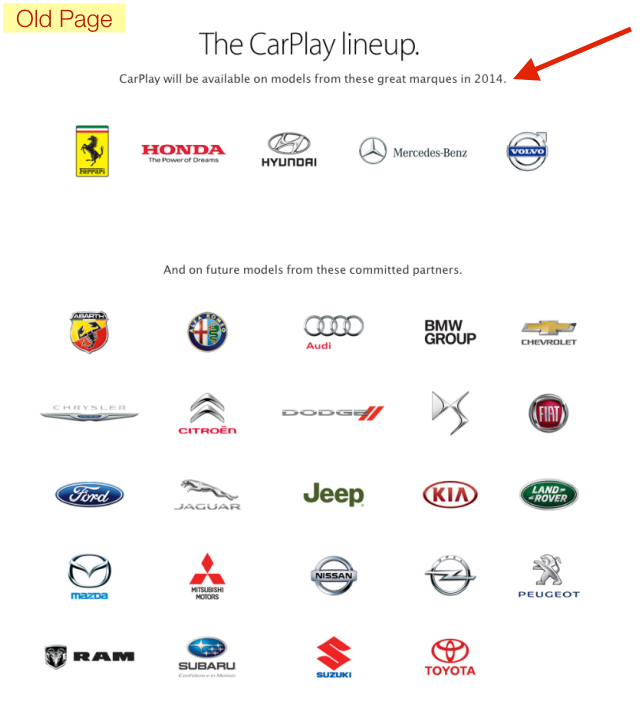 UPDATE: The top of Apple's CarPlay website actually mentions "Available on select new cars in 2014." But some car manufacturer logos have been removed from the CarPlay lineup. Moments after Summer 2014 ended this morning, Apple decided to make a change to its CarPlay webpage. While everyone was busy scratching their heads over when CarPlay will be available, Apple dropped a subtle hint at a possible delay in delivering the software to consumers. If you head over to Apple's CarPlay page, you will see the change. As you can see, Apple has removed the phrase "2014" from the availability information. 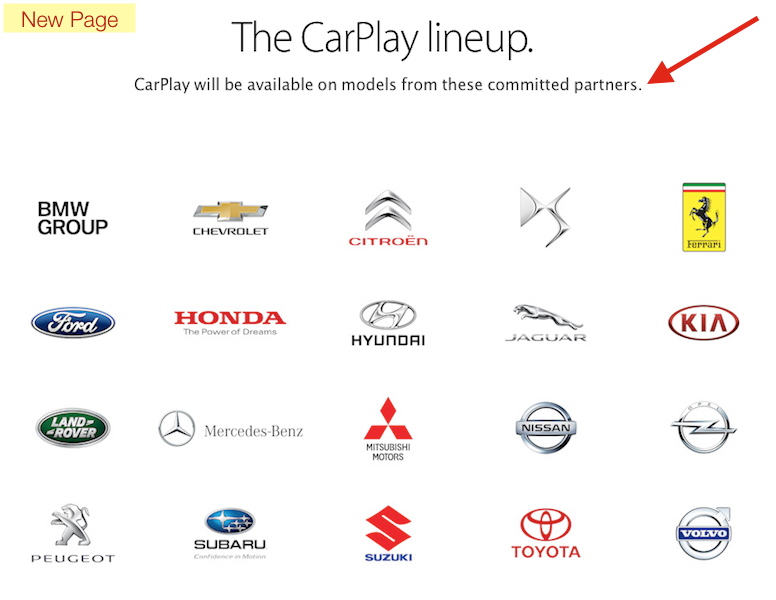 The old page said "CarPlay will be available on models from these great marques in 2014", whereas the new page says "CarPlay will be available on models from these committed partners." The CarPlay page has also added the CBS Radio News app to its list of compatible apps. Additionally, the new iPhone 6 and iPhone 6 Plus has been added to the list of compatible devices. CarPlay has also been promised on aftermarket head units made by Alpine and Pioneer. Pioneer UK tweeted earlier today that CarPlay has been delayed until "Autumn" as there have been "obstacles" in delivering the software to its customers. There's no word from Pioneer USA in this regard. 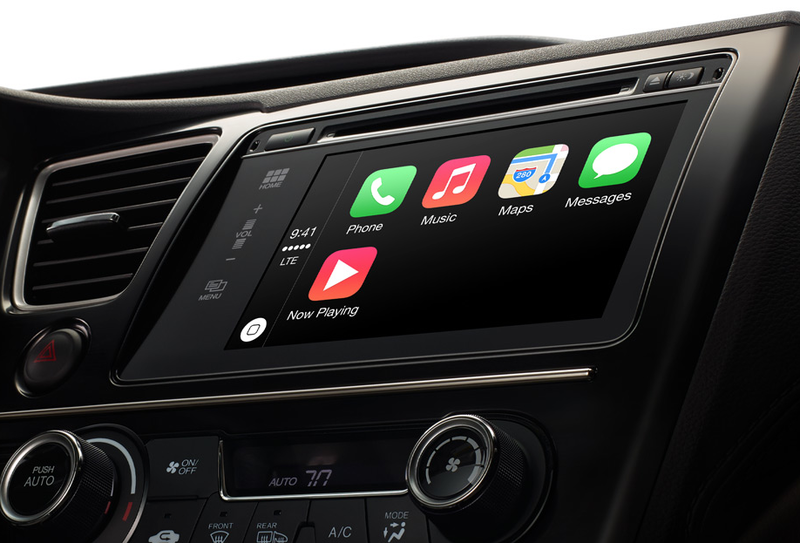 With Apple getting sneaky about possible delays in delivering CarPlay, the cloud over Pioneer bringing the software to its NEX receivers this year darkens. For all we know, CarPlay may get delayed until 2015 on all platforms. The first Ferrari equipped with CarPlay was delivered to its owner in Italy recently. Apart from that, there are no other vehicles offering CarPlay quite yet. Seems like the (long) wait for CarPlay is just beginning.